In a few brief seconds the golem was overwhelmed by the onslaught that the dungeon divers had unleashed on the guardian. His arm severed by the slash from the King candidate. Then the solid illusion of the man slammed his blade into the face of the earthen guardian cracking and breaking off part of his face. Stumbling backwards from the force of the attack he saw the other attacks head his way. During the brief moment when the magic headed his way he thought to himself, they had proved themselves worthy for the most part. The one he was unsure about was the imuchakk girl, she wasn't very strong by the looks of it but maybe what she lacked in strength she would make up for in personality. As the lightning and other spells overcame him the creature fell to the ground, broken, in defeat. As they would step over the broken creature they would find themselves inside the tower getting a moment to rest and talk to one another for a brief moment. Inside the tower stood a massive door that would lead to the next room. The inside of the tower was beautiful, ancient text written all over the wall, showing messages in the old torran language. It gave off a vibe of ancient beauty, the only strange thing about the room was the golden snake that stood in the center pouring water from it's mouth for the participants to drink from. You may drink from the fountain to heal any damage you sustained from the dungeon. The blue haired female was at a lost for words when she saw the situation unfolding in front of her. Their attacks worked and they destroyed the golem. She was filled with joy they worked together and were able to defeat this part together. She looked at them while smiling softly and it turned to a smirk as she pat her beast. "We did it!" She exclaimed before turning to face the tower. She knew that up ahead was the end though. She couldn't believe that they were already there and while in her disbelief she walked forward into the tower letting out a soft sigh of relief. First, she walked over to the fountain drinking from it to rehydrate herself along with Hoyo. Once she was hydrated she looked around the room with a smirk on her face before she saw the door and stared at it. "We made it this far boy, we just need to go a little further." She said as she pat him thinking that this dungeon had been long and tiring so far. She dealt with a lot and none of it stopped her from continuing with her quest to conquer this dungeon. As she looked at the door she could only think that whatever was behind that door she was going to make her way through it no matter what it takes. She had set her mind on conquering this dungeon and working with Yaku was a great learning experience for as a fighter and adventurer. After resting for a moment she walked closer to the door ready to leave and tackle the next challenge with her partner. "This has been quite an exciting adventure." She stated to all of them with a proud voice having enjoyed it all despite the challenges they faced. "May the best win." She said to Noir with a friendly smirk as they were friends and she truly wanted to see which one of them was the best fit for the djinn. The girl saw the golem fell to the ground, broken… by the force that all of them gave. It was necessary thing to do perhaps, but she was not that heartless to feel nothing after make it broken in defeat. The golem might be a puppet which was controlled by the owner of the dungeon itself, but it lived once and now it laid there, dead. A sigh escaped from the black haired girl’s peach colored lips as she fearlessly approached the golem and touched the remaining of it, the part that resembled its head. No words was uttered by Noir as she closed her eyes and prayed for its peace, giving her respect to the golem before opening up her eyes and turned her back only to ask, “Is everyone alright?” It was not a formality as there was a concern that was truly being shown in her eyes and it knew no different towards everyone. Once Neo and Haku caught up with her, she would step over the dead golem and entered the tower only to be amazed by the size of the door. She entered the room carefully but once again being very endeared by the magnificent scene in front of her. What made her curious was only the ancient text which was written all over the well, it was kind of the same as what she saw in that island but unfortunately it was not something that she understand for now. She wondered if she could decipher it… if only she understand about this ancient language, but she will look for some source that might help her later after she managed to survive this dungeon. Her gaze captured at the decoration which stood in the center of the area and without wasting anymore second, she would motion Haku to follow her and then approached the fountain. Ani was the first to drink it, but she just wanted to make sure so she scope some into her hand and drink it slowly. After making sure that the water was safe to drink and somehow she felt refreshed like there was a force contained in the water that could heal them. So she called her mentor to come closer, “Neo, I think this water can heal us. You should drink this.” She said before scoping another water in her palms and then gave it to her liger also to Thyme so the damage that they bore would be healed soon. “Indeed.” She replied to the Imuchakk female and nodded, but then a small smile was formed at Noir’s face. She noticed that she had been smiling a lot ever since she entered the dungeon, which she thought as a good thing. “May the best get what they desired the most…” It was not the matter of winning for her as she only want to obtain the knowledge to the power which resided in the dungeon, but if winning was the thing that Ani desired the most and was the only choice for Noir to get what she desired, then the girl would be up to take the challenge and win. Without any hesitation, the female magician would walk closer to Ani and then without any will to harm her, Noir opened her arms before wrapping the blue haired girl into a hug. “It’s been fun.” She said before letting the Imuchakk female go and bowed politely to her, preferred to stay close with Neo, Haku and Thyme. With the golem defeated, Adrastos had one less problem to worry about and one that came to his attention. Their truce with the Imuchakk was basically over now that they got through not only the sandstorm, but the golem as well. The blue magician watched them carefully, even after they stepped over the crumbled corpse and entered the tower. His silver eyes only left them when he cupped water from the fountain into his pale hands and drank, its power healing him from wounds inflicted during previous battles. Adrastos watched the two females interact briefly, but said nothing. Whoever won didn’t matter to him. All he cared about was helping Noir one last time before parting ways with her, and of course, whatever power he could obtain despite not chasing after the ultimate prize. All would be revealed soon though, the magician thought to himself as he waited for what was to come next. It was a relief for Yakuroro once the golem went down. His magoi reserves were dropping with each passing second and the power of the djinn would only last for so much longer before his body could no longer sustain it. He advanced with the others into the tower saying nothing to any of the companions. Their meager words of congratulations, victory, and concern meant little to the Imuchakk. This was especially the case once he entered the tower and laid eyes upon the many torran writings scattered about. The magician floated through the air looking around glancing at each collection of Torran letters. His eidetic memory filed each writing away with a single scan of the room. This made Yakuroro the last to go drink from the fountain, his mind sifting through the writings for anything that might be of help or use to them as he cupped fresh liquid and brought it to his lips that were hidden behind a veil of shadow. In order to keep up with all the lies told, a Conman possess an eidetic memory and can recall things with high precision in a short period of time. As the groups refreshed themselves they would be able to enter the next room as the doors of the gate flung open. Instead of revealing the next room behind the doors was a portal of swirling sand. An ominous aura pouring out, touching them as if it was to grasp them and draw them towards it. As they would touch it they would find the tugging feeling more than mental at this point, their bodies sunk into the sand, being dragged in as if it was a sinkhole. The sand was incredibly warm, it was as if they were swimming through quicksand based on it's density. Before they would feel like they were suffocating from the entrance they would walk out into the next room. The room was very dimly lit at first to were they could only see a faint glow in the distance, illuminating what seemed to be large piles of gold. While moving forward the rest of the room was illuminated by torches revealing the appearance of the rest of the Djinn's chamber. The chamber was massive in size, showing that the torches could not reveal the entire room. It appeared they were on a walkway that was approximately 10m wide and 30m long with a large pillar at the end of the path. It was slightly broken with a large emerald eye in the center, which seemed to follow and stare at the dungeon runners intensely. Underneath the walkway was a large expanding chasm that had massive spikes protruding from it, if one fell down and hit a spike they would surely die or be fatally wounded. On the sides of the walls seemed to be doors and windows as if creatures lived inside the chamber walls. If one followed them they would see that they led to where the original light source came from to their right. It was a large open area filled with treasures like they would have expected earlier. For one who had never ran a dungeon they would most likely be amazed by the large some of treasure. The large emerald eye that stared at the people soon started to making a hazing sound. Blue smoke poured out forming into a massive cloud, shaping into a person. The women had blue skin and was nearly naked besides the scarf draped over her breasts and a band at her waist which connected to a smoky lower body. She had three eyes, two of which were cold and lifeless, piercing into them as if they were the eyes of death itself. The third in the center, showing no movement but it stared forward as if examining the contestants. She then moved slightly forward towering over them at 20m in size and speaking with a powerful voice, stout and solid. There would be no room for interruptions as her voice filled the entire room. "Hello contestants, I am the mighty Djinn Dantalion, you have managed to make it all the way here to my chamber where I reside. That is quite worthy of my praise but I assume that is not why any of you are here, most likely for treasure and something a bit more. Now tell me young children, why have you decided to enter my dungeon and make it to here, what is it you truly desire to gain from this. And good job, Spayce and Thyme, my cute little pets it seems you have brought some worthy people to me." Waiting patiently for the answers that they would give, she looked over the contestants examining everyone of them wondering who had come there to claim her power. They all looked promising but she did notice the one odd ball that was Yakuroro. She was surprised to see a king candidate had come into her dungeon, it made it a bit more obvious how they might have made it this far. Even if they had made it this far she would still decide who was worthy and test them as she saw fit, giving a slight smirk in wonder. Never before had Adrastos seen such a being, and he hardly dared to look at her. The reason why he didn’t stare or gaze at the being was for something other than fear; it was more like he simply couldn’t. The power that radiated from her, oh how he longed for it himself. Could he too obtain such a power? Maybe something even stronger? And all these riches too? If he could, then he’d no longer have to worry about his dreadful past as a slave, fear the possibility of being trampled on, and dream of the power he could have since it would already be in his possession. The blue magician, bowing his head out of respect and awe─and also to hide his annoyance at being called a child once again─spoke, but only when Dantalion was through─he heard the tone in the Djinn’s voice, saying she wouldn’t tolerate interruptions─and made sure to speak in a calm, neutral tone. He left it at that, hoping his answer was substantial enough and would not anger or negatively affect the djinn. OOC: Sorry for the late response. I thought the last Proxy post was on the 30th and not the 29th, so I thought I had one more day. Apparently not. x.x I had also expected the others to post before me, so… I’m first. Surprising. Noir was amazed by the sight of the mighty being inside the dungeon, her blue skin, her three eyes, it was clearly something that was not ordinary to be seen. However, the black haired girl stared at the Djinn without any fear, she had the glint of excitement and amazement inside her gaze. When she moved slightly forward, Noir only became more fascinated by the being herself as she was really huge, even bigger than the Imuchakk tribe that she knew as the largest race. She could feel the power from the being and wondered about what kind of knowledge that she possessed. When she spoke, her voice was very determined, it was firm and it would make all the people listened to her. At that moment Noir could only think that she was a very charming individual, but then when she mentioned about Thyme, Noir couldn’t help but looked at Thyme before bowing and whispering thank you to him. He worked really hard and well to guide them into this far, so Noir would try her best to reach her goal that she had by entering the dungeon. She closed her eyes for a second, knowing what she wanted to say but halted herself when her mentor spoke first. He was calm and supportive based on what he said, but the black haired girl wouldn’t expect the silver haired man to consider her as an equal. Her heart beating so fast upon hearing that and she was proud of herself, her mentor praised her and considered her as an equal, that was something that made her couldn’t be happier. She was not really good in explaining what she wanted towards other people considering that she was a slave in her past, but she told the Djinn about what she want and now she just need to wait for the other two to say something to the Djinn. The black haired girl could only hope that her answer was good enough as it purely came from her own mind and heart. She would reach for a bottle that she kept with her and drink it only to feel her stamina slowly increased. Ani had been quiet as they made their way into the chamber as she was mostly in awe of the room they were inside. She found it mysterious, beautiful, and somewhat frightening all at the same time. These were the feelings that were inspired in her, but the most prominent one was her burning desire to conquer this dungeon. She knew for sure that this dungeon had been a struggle for herself, but she also knew that nothing was going to stop her. The only thing that brought more awe to her was the djinn of this dungeon. Ani found her appearance somewhat interesting, but she knew that this djinn could easily end all of their lives if they brought about her scorn. As she heard Dantalion speak she looked at her with a small smile as she had found her quite interesting person. She looked over to Spayce and gave a slight nod to acknowledge his service and thank him for everything that he has done for them. She thought about voicing her wishes first, but Neo said something first only to be followed up by Noir. She listened to everything Noir was saying, and thought that her reasons were good ones. Even if she thought this Ani believed she needed the Djinn more and wasn't going to give up even if Noir tried to kill her. Now that it was time for Ani to speak she clenched her fists and took one step forward before looking at the djinn. "Dantalion, I have come here to earn your power, the power of a djinn!" She exclaimed before opening her mouth to continue. "I wish to gain your power so that I can achieve the things that I must do; I may not be the strongest person here but I made it here and nothing stopped me along the way." She proclaimed with strong firm voice as she looked upon the powerful being. As she stood there among her peers and the djinn she kept a strong stance without wavering. Staring intently watching their facial expressions as they addressed her, how they spoke and how they carried themselves. They could obviously tell the difference in their power which the djinn admired. Within moments of meeting them she analyzed most of their characteristics and what they were like, the exception being the king candidate who did nothing. The silver-haired magician interested her slightly, his words seemed truthful but it seemed as if he was hiding something or maybe tried to please her. She couldn't place her finger on it but that was what interested her about the man. Then there was the girl with the beautiful dark hair, she was very earnest, that was a trait she admired very much. Wanting knowledge was something most people didn't come here for at least so far, that definitely raised her opinion of the girl seeing her as more than someone who was lusty for power. Which lead her to the next girl, the tiny Imuchakk was much weaker than them in skill, she was blatant about her desire for strentgh but it wasn't simply for the sake of being strong, there was some underlying goal. Closing her eyes for a brief second to think she then began to speak once again, her voice still overpowering but with a hint of intrigue. She seemed to be curious about both of the people who wanted her power, so it only seemed right to test them. "I have been watching your progress the entire time both groups have gone through the dangers of my home. Not only did you have to deal with beasts trying to kill you but you also dealt with the harsh environment which would break down normal people. And I admire both of what you have done so it is hard to choose one who deserves my power." She shifted her gaze over to Noir, beginning to address her and how she felt about the young girl. "I truly admire the effort it must have taken you to get here, it is obvious from your battles you are quite experienced in magic. But while you may have been strong enough to get past the enemies you had to deal with the harsh environment, and considering magicians have a weak constitute generally I assume it was quite difficult to push through it to arrive here." Then she shifted her gaze over towards Ani, speaking in a sincere tone like she did when speaking to Noir. "You have better endurance as you are an imuchakk, albeit it's normally to the heat you still are more suited to enduring harsh environment with your natural strentgh. Though you are strong the enemies here were stronger and you were not a match for them. Despite this you tried your best to try and push forward so you could come here to claim my power which I admire." Then she began to speak to both of them, her words seemingly cold but her face showing disdain. It was clear she was not happy about what she was going to do but it was what she saw as right. "A true leader shows dedication to his goals no matter what gets in his way. It is easy to become strong enough to kill someone or overpower others but it is harder to overcome things of the mind. There will be times when you are beaten down pushed to your very limit. But no matter what you must push through it. You must show that even when you want to die, or when things are too tough that you will survive and do what must be done. So I will be draining you of most of your water, this will cause hallucinations making you face your worst fear. Whoever deals with the mental and physical pain the best and proves to me they are worthy shall get my power. If you want to back down, now is your chance." She would wait for them to make their decisions, she would wait for them to step forward and would fly to them placing her hands above them. She would produce waves of dehydration magic drying their bodies. They would appear withered and dry, lips cracking and bleeding. Their eyes appearing sunken and dry, hair becoming dry and fragile easily failing. It was cruel and a very gruesome process but it was what needed to be done. They would be barely able to stand but she kept her eyes on them watching how they would deal with it. Noir and Ani have both Taken B-tier dehydration damage, for this round of posting you two must PM your replies and I will inform you when to post them. But be sure what you want to do, for once you pm me your reply you cannot change it. Once the djinn revealed itself to the group, Yakuroro disengaged his Djinn Equip and ceased his floating off the ground to land and stand on his two feet like the others. At this point, Yakuroro's power and mind would not be able to help Ani. The rest was up to her. That being said, Yaku spend the time the others spent responding to the djinn's question to inspect the chamber instead. He looked around with an inquisitive eye, searching the treasures in the room for anything of interest that he might want to claim for himself. There was no need to answer the djinn's question as he had not come here to take her power for himself. But telling her that he had come to ensure her power fell in the hands of someone Yaku could manipulate for his own plans would be unwise. So he simply held his tongue instead. Yakuroro was fairly disinterested in the results of the challenge the djinn claimed to be putting the two challengers through, although he did look to Ani and Noir in order to see the effects of the magic that was being used on them. It was a stronger version of the magic that had permeated the desert outside. Inspecting a more concentrated form of it allowed the experienced magician to infer that it was a combination magic of...heat and water? Perhaps heat and wind? Yaku couldn't quite tell from just a glance, more research would be required. But for now he was content to have identified the purpose of the magic. It was clearly meant to drain the target of moisture. Bored of observing the dehydrated challengers, Yaku when back to searching the room and it's treasures, hopeful that his curiosity might be rewarded. When the Djinn spoke to her though Ani kept a calm face and listened. She was happy that they were on equal terms in the djinn's eyes for this. When the Djinn said she admired Ani pushing forward she smiled slightly and nodded a little.Then when she heard the challenge Ani went back to her calm look listening to every word Dantalion said. It sounded horrible, but Ani wasn't going to back down. "I will participate in your challenge." She said stepping forward with a determined look upon her pale face. As the dehydration magic hit her body Ani could feel water leaving her body, and it felt like she was utterly dying. She gasped for a moment and looked at her hands seeing how dry they were and how much it hurt to move them or any part of her body. Her shiny blue hair looked like it would crumble apart if touched. For a moment she thought her lips were fine as she could feel wetness, but when she touched her lips she could feel how cracked they were and the blood seeping out from them. It was at that moment Ani noticed she had fallen to her knees. So painfully and hunched over she stood up, but then she saw the worst part. It was the slaver from Ani's childhood the one who tried to capture her and force her into slavery.Her pale face went paler as she was filled with fear. She didn't want to be captured and controlled. She winced and looked down seeing a chain around her leg and the slaver was pulling on it trying to tug her over so he could use her for his wishes. It was at that moment Ani's fear turned to rage and she clenched her fists growling. The anger helped her ignore the pain, but as she was walking forward to attack the slaver a voice in the back of her head yelled out, "It's just a hallucination!" The voice rang out in her head like a piercing headache. When Ani remembered it was all a hallucination she grit her teeth, and stomped both feet as she stood up straight. She was in pain a lot of it, and she felt like she was going to die, but no not even that would stop her. Standing in her pose with her grit teeth and clenched teeth she looked up to Dantalion as the blood ran down her lips and trickled off of her chin hitting the floor. "I will not go down, I will prove that I am worthy of your power!" Ani proclaimed in a hoarse, but loud voice that strained her throat painfully. Most likely she would be speaking in a weird voice for a while because of this. Though at the moment Ani didn't care the only thing that mattered at the moment was the challenge. No matter what would happen Ani would not give up. Indeed the whole environment was very harsh for her just like what the Djinn said, but it was nothing for her compared to her past. All those beating, all those mental wound… all those painful past that made her crave for freedom and getting knowledge since she never get the chance to get it. Once Noir noticed the expression from Dantalion’s face, she closed her eyes for a few seconds and prepared to whatever that she might say. However, when the Djinn had said her words, the black haired girl who was still didn’t show any fear but a determined looking girl who was not afraid to survive. The upcoming test would be much painful and she knew that she wouldn’t even compare it to her past, but she had one thing that she could be proud about and that thing was a dedication. “For the sake of knowledge…”she murmured before looking at her companion with a determined gaze. Her liger would growl at her, seeming worried about her safety. But Haku knew that Noir was stubborn, she wouldn’t even listen if there was something that she needed to do. Her gaze towards the beast only made him stop growling worriedly and he began to give a fierce, determined growl as if he was cheering for the black haired girl. Noir would then gaze at Adrastos, grateful that she had such a powerful and reliable mentor as well as companion, feeling indebted for his help but she would make sure to pay it back for his in his needing time. So without wasting any more time, the female magician stepped forward before feeling a little bit nervous when the giant hand were placed above them. It was not her fear which made her nervous; it was a curiosity on what might happen next. Then, the moment a waves of dehydration engulfing her body, Noir would grit her teeth as she felt the water inside her body being sapped by this harsh dryness. Her once wet lips would crack and bleeding, letting her to taste the blood. She couldn’t help but to blink her eyes because it felt dried. So this was the test… now that she knew, it might be much drier than this. But the black haired girl chuckled, her golden irises changed into red colored before she whispered to herself and almost fall on her knees but forcing herself to keep standing, 'Bring it on…' There was no way she would give up…all for the sake of knowledge… Facing her worst fear was something that she needed to do sooner or later anyway, but she was working to put an end of it and to be able to do that, she needed to face it and fight it. In the other words, learn as much knowledge as she could, be stronger than her yesterday self and last but not least, she needed to survive. However, the drought that she felt in her body began to taking control of her mind. She was thirsty, but she wouldn’t swing her wand to re-hydrate herself, this was the test for both of her and Ani so the only thing to help herself was only to overcome it. She tried hard to stay sane, keeping her focus to look directly towards the Djinn’s eyes. Nevertheless, each time she blinked her vision would be darker and darker than before. Then without noticing, the pain was not there as if it disappeared because of something. It was so dark to the point she couldn’t even see anything but black color, the darkness made her wonder about what would happen. The Djinn did mention about hallucination, so could it be that it would starting now? What was her worst fear would be, she wondered. Thinking straight was not able to be done at the moment no matter how hard she tried to remember, then soon, she could hear the sound of fire sizzling and burning something that turned out to be a candle which soon make the other candle being lit as well. She was inside a wooden room, but judging from the scent, it smelled like seawater. She knew this small room just like the back of her hand, it was the cabin inside that slave ship. Her breathing started to be slightly heavier, it felt like she was suffocated and there was lack of air inside the cabin. She gulped hard, couldn’t even bring herself to explore the room because she knew that there was nothing in the room, no hidden room or secret machine inside it. The only thing that stood out was the scratching marks all over the room that covered with red liquid that looked like a dried blood. It was the mark that she and the other slavers made when they were locked alone in the room as a punishment. There was this punishment system where the slave masters would lock one of them in that room if they behaved poorly like didn’t obey the command. However, this was nothing for the black haired girl, being in this room didn’t scare her as she already got used to it. Yet, she wouldn’t expect what would be coming for her. Something that would made her might be unable to control herself. A single, squeaking sound could suddenly be heard and that instantly made the female magician’s body twitched in surprise. How could she forgot about this certain thing that she hated the most? The thing that accompany her when she was alone in this room… Now she remembered why those slave masters locked them here as the punishment. It was because this room was infested by those… stinky, small, disgusting creature. She hated it, she feared it. Those tiny creatures drove her crazy and it made her unable to control herself to stay sane, she couldn’t stand the dirty fur and the squeak, as well as their whole existence. Her wand was not there when she wanted to grab it, making her panicked and slowly stepped back to lean her back against the wooden wall. Another squeak could be heard and it made the black haired girl gasped before she took a quick step back only to step on something. She slowly brought herself to see what in the world that she stepped on only to see a rat which tails was under her shoe. “Khh!” She lifted up her feet a little bit and quickly stayed away from it, didn’t want to look or be near with it. Suddenly, she could hear a lot of rat chirping sound that made her knees weak. Since when a lot of rat infested this cabin, the last time she was here, the rat was not this much. Was this her personal hell? Her punishment for breaking free from the slavery? No, she refused to succumb. But she was scared, nothing can be used to help her, her wand was not even with her. No one could save her, not her liger, not her mentor, not Solomon, Lance or even Ariella here, there was no one but her now. She panted and screamed in fear when the loud squeaking sound started to echoing throughout the room, completely swallowing the peaceful silence of the sea. “Noooo!! Noo!” She refused being any longer with the rats, her experience with those smelly little creatures in this very cabin didn’t end well and it was not this horrible but it still made her scared. She tried to look around and find the door, but she couldn’t find any, “Stay away…! D-don’t come any closer!” Oh God, she knew this was a torture, she knew it was her punishment for craving for freedom. But she wanted it, the freedom, to be able to fly like those birds freely. Would she be locked here forever with those rats? Would she need to accept them? No, she was not sure. She hated it, she despised it. One of the rats leaped on her and clinging into her hand, that made the girl screamed louder than before and swung her hand around to make the rat let go of her hand. Her body was shaking when she managed to make the rat let go of her hand, she couldn’t take it anymore. Spending any longer minute with these rats would made her die in fear, she panted heavily and her knees giving in before her fear brought her into her knees. No matter how hard she tried to stand up, she couldn’t, her knees had giving up to support her body to stand strong. It was not as scary as she thought, the fear at that time was probably because of her anger towards the slavery and when she was being angry towards the rat; it attacked her. “I am sorry…” She said to the rat gently but her voice was a little bit shaky, “It was clearly my fault… hating you without any logical reason… ending up killing your friend back them…” The only clear reason that she could think of was probably because of their freedom to be able to board the ship freely without even being enslaved by those slave masters. Her consciousness might start to recognize the rats as one of the slavers minion, but now with cool head, she knew the rat was just used. They were also trying to survive the harsh life on the ship and it was not a nice thing to do by hating them. All this time she tried to denied it, but it was clear for her now. She sat down, surrounded by the rat and let them play with her. ‘…I never knew they can have fluffy fur…’ She murmured when one of the rat jumped on her palm to curl up and warm itself up, then she closed her eyes with a pleased smile. The djinn examined the both of the participants looking how they dealt with their fears. To one who was observing they seemed like lunatics talking to the air but she could sense their fear, their pain of facing the things that troubled them. Everyone had their own ways of dealing with things, and it was hard to confront one's fears hence why the Djinn thought this was the best way to test how dedicated they were. She looked at their expressions paying attention to their every word grasping what they were both going through. They both had different ways of dealing with their pain, the Imuchakk ignored her fear trying to resist it and keep out of mind, while the girl with black hair tried to face her fear head on, embracing it. She thought both ways were interesting but she thought long and hard about which one was more suited for her power. The Djinn would wave her hands and a spring of water would pour down from the ceiling on both of the contestants. They would be able to drink the water hydrating themselves as their wounds started to heal, skin appearing healthy again. They would feel revitalized after they had hydrated themselves. The djinn had finally chose a victor, it was a hard choice at first but there was a key difference on how they handled it, and that was how she decided. She moved close to the both of them slowly shrinking to 3m tall, standing before them both before choosing to speak. "I must congratulate the both of you for your efforts, I could tell your pain and misery from your fears. You both handled it in your own ways. And I have decided the one who is worthy of my power is Noir the magician. It is sad that I can only choose one since you are both amazing girls but the Noir here is the one most fit as of now." She would wait for how both of them would react and she would then turn towards Noir, uttering words of congratulation and praise to the girl. "Noir I'm greatly impressed with how you handled your fear, you did something many people would have trouble with. You felt the pain and the fear overwhelming you but you saw what was important. At first you fought it trying to push through it but then you took it a step further and that was what truly impressed me. You've accepted your weakness, your fear, embracing it and tried to overcome it, I've met many people but only the strong have been able to do that. For many don't realize that it is cowardice to push through but true strength to accept and still try your best to accomplish your goal. Now as the one who one my power, choose the vessel you want me to reside in." 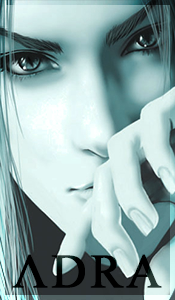 The djinn gave a solemn look towards Ani as she waited for Noir, Dantalion placing her hand on the girls shoulder. She spoke in a calm down offering words of kindness to her. "You dealt with the pain on held your ground what was impressive in it's own right but you were too focused on bearing with it, You didn't try to push forward, only running away from your fear, you know it was there but didn't try to push through your pain. You have proven your dedication but you must learn to accept your weakness, not just try to bear with the pain but to move through it also. It may be a hard task but you have great potential my girl." As the dungeon would soon start to crumble she waved her arms revealing items, one which appeared to be a beautiful snake ring and the other a tattered scroll both objects emanating power from them. "All of you are free to take some treasure from the pile, and for you two who have assisted the two competitors I grant you these gifts. I hope they serve you well in the future as they are gifts of my gratitude for helping them make it to my chambers." After this there will be only one more proxy post. By paying 15 magoi, the user creates a wave of dehydration magic that's .3m in diameter which can stretch up to 15m in length at 20m/s doing B-tier damage to whatever it touches. The user may register 1 B-Tier Dehydration Magic spell to this item. 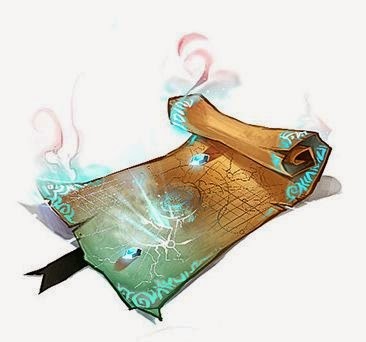 Appearance: A scroll 15cm long and 6cm in diameter that is written with ancient text with a magic circle in the inside. By paying 15 magoi, the user surrounds themselves in a 5m aura of dehydration magic starting .3m from their body dealing B-tier damage to anything that touches it at 20m/s. When the water came down Ani was relieved, she felt the pain washing away with it. She made sure to drink some of the water so she would be able to re-hydrate herself after such an intense situation. Though when it came down to the important part Ani opened her ears and listened to the djinn while looking at her closely.When she heard that Noir was the one who had earned the Djinn's power she felt very conflicted. On one hand she was happy for her friend that she had earned such a great power, but on the other she was dissapointed in herself that she wasn't able to prove herself as she kept telling herself that she would. She clenched her fist and teeth preparing for everything that would come next. Hearing what she was saying to Noir felt like salt on the wound, but as Dantalion began to speak to her she let out a soft sigh and looked at her listening to what she was saying. The words made Ani feel a little better about herself, but the important part was it lit the fire inside of her. She was going to become great and achieve her potential no matter what. So after reaffirming herself she pat Hoyo and turned to Yaku first. "I'm sorry i didn't meet what you expected of me, but I'm going to keep entering dungeons." She said with confidence hoping to one day become powerful enough to get acknowledged . She decided that before they left she should say something to her friend before they would have to leave So Ani walked over to Noir and smiled softly at her. 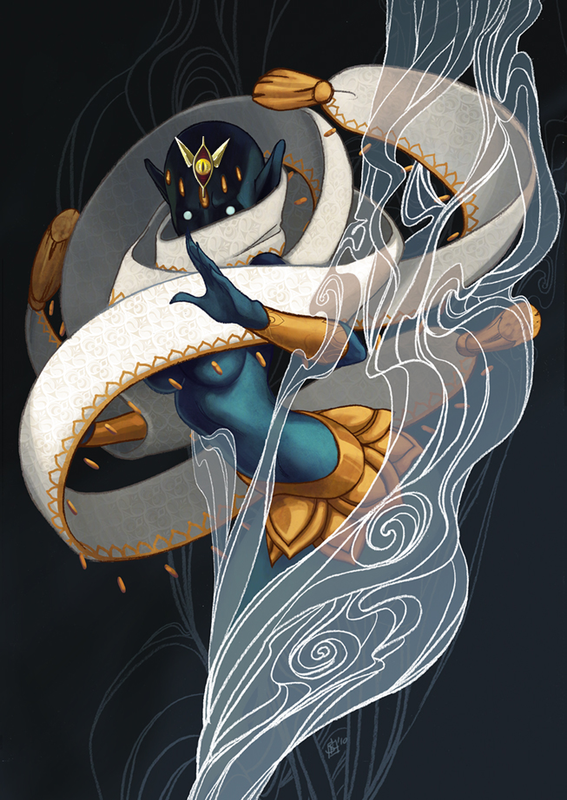 "You did great, and you proved yourself worthy of a djinn." She said holding out a thumbs up to her with a grin, as she was actually happy for her. "Though I promise you that eventually I will also claim the power of a djinn for myself, and then we can have a practice fight with each other." She said in a friendly tone before she turned and walked over to the treasure with Hoyo picking up as much treasure as possible before they would have to leave. Witnessing Noir become weak from dehydration and hallucinate about her fear was almost too traumatizing to watch, but there was still a huge piece of Adrastos enjoyed watching the two suffer. He didn’t let this enjoyment show however, for he often diverted his eyes elsewhere to the piles upon piles of treasure scattered across the chamber. Still, that did not mean the magician was completely ignorant of the test. Ani pushed her fear away, trying to grit her teeth and endure it as if it were something as simple as doing just that. True, Adrastos probably would have done the same thing, but he was not the one being judged to wield an immense power. Noir, on the other hand, did not fail to disappoint him, and due to her struggle and how she handled it, Dantalion proclaimed Noir Ecryola, his ex-student, worthy. Proud and seething with jealousy, Adrastos nodded to himself. Now he really had nothing to teach her, and leaving her would not take such a huge toll on his malfunctioning heart. With that, he took as much as he could in terms of gold. Never had Adrastos touched so much, and it took all of his willpower to restrain from diving in and swimming in the shimmering coins. Once he had taken what he could, the magician walked to Noir. It was gone; she was once again surrounded by darkness once she felt a droplet of water on her face. Then suddenly the water was wetting her, as if waking her up from her deep slumber where she fought her nightmares. Her cracked lips, dried skin and the dryness in her body were suddenly healed by the spring water and she gasped with wide eyes which still has crimson color as she felt the refreshing water. She would then slowly drink the water, trying to not choke herself with the water and soon could bring herself to stand up again. Looked like she was back into the reality as she could see the Djinn in front of her and Ani beside her, seemed to survive the horrible test as well. Without fear, she looked at the Djinn with a hope and waited until she shrunk herself before finally spoke to both of her and Ani. “…me?” Noir murmured to herself, staring at the Djinn at disbelief when she said that the black haired girl was worthy of her power. It was a very unbelievable thing happened on her, she, an ex-slave could really obtain such kind of power. She looked down and gulping hard, still couldn’t believe it. Her dedication has been paid off, but she was not feeling too happy because her Imuchakk friend who was competing against her didn’t get chosen. She was torn, but she really wanted the knowledge. So she closed her eyes, entwining her fingers and brought it close to her chest before apologizing to Ani and prayed for her success in the future. Because of that, when Ani approached her and smiled, Noir couldn’t help but to give a sad smile. Just before the Imuchakk walked away, the black haired girl would hug Ani tightly and buries her head on Ani’s shoulder. A soft sigh was escaped from her lips, “I’ll pray for your success in the future…” Then she would let her go to the treasure, watching them for a little while. Her mentor even approached her, saying that he was proud of her. But what was this sad feeling that she couldn’t shake off? It felt like they wouldn’t be able to meet anymore or even do some mission together… She didn’t know, so she would give her mentor a soft smile before nodding at him. “It was all because of your guidance. I am really grateful.” She bowed towards her mentor, showing her gratitude as if it was the last chance that she got to do it. She would then pet Haku lovingly before struggling with what kind of vessel that she wanted to choose. At first, she wanted to choose the earring that Lagi gave to her, but it was filled with so much memories and she didn’t want to mix it with another things. Then her hand touched the necklace that Lance gave to her, only to end up thinking about the same thing again. It would be better to have something else so Dantalion could have her own ‘place’ and thus it would allow them to make some memories together, she hoped that they can get along well. After that, she would look at the pile of treasure and it didn’t even take long time for her to choose what kind of vessel that she wanted to use. It was the most stood out in the pile of the treasure, something in this item gave her a mysterious feeling and she even came to like this item. 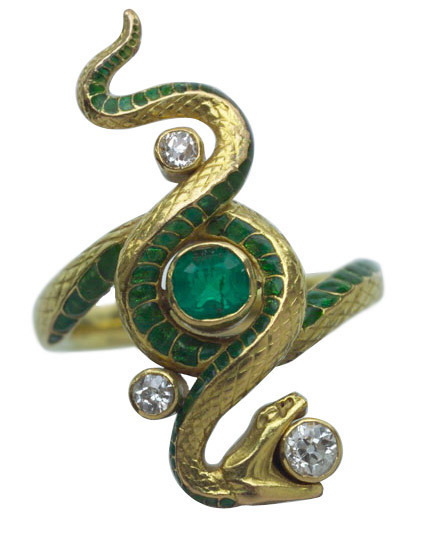 The item was an arm bangle made from metal, with two serpents shape and red orb which resembles her crimson eyes in the middle. Without taking too long, she approached the Djinn and then presented it to her before asking, “I personally think this one… is suitable to be the vessel for you to reside in. Do you find it as a nice vessel, Miss Dantalion?” The female magician kept being polite, even going as far as asking her if she wanted to reside in the arm bangle. She just hoped that the Djinn would find it as a nice one as well as she showed it. Yakuroro's searching throughout the chamber had come up empty of anything that held real value to the magician. Gold and silver were nice, but he held higher prices on things of magical origin. Consigning himself to acceptance that he did not find anything of the sort, Yakuroro stopped his search in time to witness the results of the Djinn's trials. Yakuroro internally cursed Ani's name and spat mental bile as thoughts of her incompetence flowed freely. He had invested time and energy into the wrong pawn and now he had wasted a mountain of effort thanks to her shortcomings. Even going so far as to reveal his djinn! That had been a well kept secret until now, only Diego knew about it. The cost of letting his secret out would have been worth the reward of a djinn holder in his pocket, but it was infuriating to get nothing in return. However, none of this showed outwardly in any way the others could sense or detect of course. Putting on an understanding smile, Yaku waved away Ani's apology, "It was the djinn's expectation you failed to meet. But don't let that discourage you. It was merely an issue of compatibility." The kind tone in his voice would serve well to hide the fact that Yakuroro held animosity towards the young woman. Thankfully, there was SOME gains to be had aside from generic treasure. The djinn saw fit to bestow a prize to Yaku. 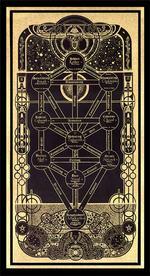 His eyes gleamed with keen interest as he saw that his reward was an ancient scroll of sorts with a magic circle. One more magic tool to add to his ever growing arsenal, it was not all bad. This positive upstroke helped shift Yaku's mind away from the spite towards Ani and more in the direction of what to do next. Already scheming his following move, Yakuroro approached Noir as th dungeon began to fall apart around them. He made a private offer in a hushed voice so that only she could hear his words among the shakings of the dungeon. "If you want to learn how to use the power you've gained, meet me in Balbadd at the White Sails Inn." The offer was made in a polite tone with a friendly smile in tow. Yakuroro would not allow the revealing of his djinn equip go to waste. Showing it off could prove useful in the long run if it allowed him to get close to this stranger whom had obtained the djinn. "It is a very nice vessel my child, it is a fine place for me to reside within." As the adventurers would stand there and look at the portal the room would shake more violently. Rocks fell from the ceiling and any of the gold they were not able to collect and carry began to fall down into the depths of the dungeon. They had enough time to exit but if they idled around they would surely be caught up and possibly hurt. There were any mysteries to the dungeon that would be lost but they would surely be leaving the dungeon with a handful of knowledge and experiences. There was the magician with his book of poems that could possibly detail the dungeon more or give secrets. The imuchakk girl who learned she needed to grow and Noir who would be leaving with Dantalion's power. OOC: You may now all post your exits, I will give you the codes for your items and pets after you have all posted your exits. The dungeon would soon collapse, and Adrastos, not wanting to die so young, decided not to stick around. His silver eyes scanned the room, looking at everything that would be lost. There was so much gold still remaining, so much so that he could have been richer than the King of Reim or Emperor of Kou. Hell, maybe richer than both of them combined. It pained him to see so much knowledge, riches, and power left behind, but he couldn’t carry anymore than what he already had. His silver eyes then rested on Noir, the girl who went from student to successor before his very eyes. They had known each other for a few months now, maybe more than a year─it was hard to keep track─yet now they would be parting ways. There was no time to tell her how he felt even if he knew. Adrastos could only soak in her beauty like a sponge and engrave her image within his mind. Then, when he could gaze upon her no further, he turned and ran through the portal. Just before his body disappeared, a crumpled piece of parchment fell from his pocket and rolled to Noir’s feet. It was the very letter to which he had confessed to her, but never had the courage to give. Now, unbeknownst to the silver haired magician, it was Noir’s to look at and read. All his truth, his life, his feelings written down. When she would open it, there would be many lines crossed out rewritten, lines added, but Adrastos would not be there when she will. By the time you read this, I will be long gone, and I don’t mean just physically either. My mind will no longer be as clear as it is now, and I’m unsure how much longer it will last. With these final words to you, I will tell you who I really am before the man I am is forever lost. I believe it would be best if I began from the beginning. My real name is Adrastos Thanatos. Back when I was younger, I lived in a slum on the southeastern coast of Reim, but while I was still just a child, I had been sold into slavery after my home was ravaged by thieves. Everyone was slaughtered, even my parents whom I watched die in front of my very eyes. The only ones were were kept alive were the children. I watched as my childhood friends were killed or sold until I too followed their path. For years I remained a slave, and I was sold to many masters. However, I eventually escaped and fled to Kou, where I fell in love with Akina Kazuya. You are much like her. You were both slaves and were very quiet and had the most beautiful eyes resembling glittering gemstones. And so... you, Noir, are someone I can relate to, just like Akina. Back when we travelled to Balbadd, I acted rashly and attacked Diego. You know, the strange fanatiger? My actions were guided by jealousy; I couldn’t handle seeing him near you because you are someone very close to me. It’s amusing in some ways because I vowed to never have such feelings, and yet they still managed to fester. The reason I feel this way is not because of how you remind me of Akina, but rather that I enjoy your company and feel a sort of connection that I can’t shake off. There is a part of me somewhere that wishes I could love you, but the more prominent side of me is fearful. I have been told so many times that emotions weaken a person, but I find myself wondering why that is. Emotions give someone a reason to fight. It shows that they are still human. Noir, I know what life as a slave feels like, and how they try to destroy your humanity. You must try to forget about that. Laugh, smile, and express your emotions in any way that you can. For your own sake. If you don’t, you may very well end up like me. Thank you, Noir, for allowing me to be your instructor, but you must forget me. I ask not as your teacher, but as a friend, because the next time we meet, I will not see you as I do now, and we will be enemies. Farewell, Noir. I hope you have a pleasant life. OOC: The letter is for Noir to pick up only and nobody else. A pleased smile was formed when the Djinn agreed that it was a very nice vessel, Noir was glad and wore the arm band while waiting for Dantalion to reside within it. In the meantime, the male Imuchakk words echoed in her head, it was a tempting offer that would be useful for the black haired girl if she wanted to know more. But she got no time to think about it as the dungeon began to crumble, it was sad that she didn’t get the chance to explore it thoroughly but so far it was a very fun experience. Then, like a dream, the Djinn resided into the vessel and made Noir looked at it, stroking it a little bit with awe before she would look for her mentor. 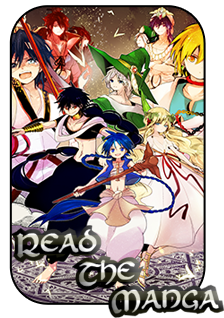 However, he was nowhere to be found and a piece of parchment rolled to the black haired girl’s feet. She would take the letter but when the dungeon crumbled more, Noir put it in her pocket before running through the portal hoping all of them could make it outside safely. Then she wondered about what she needed to do after this… probably taking the Imuchakk’s male offer was the best thing to do for now but she might need to show her gratitude towards her mentor. Besides, she might need to go back to Reim soon to uncover the mysteries of that mysterious island, it had been a while so there should be some significant progress about it. Ani made sure to grab as much as possible for her to grab along what Hoyo could carry. She stood there for a moment wondering what her first step should be now that the dungeon had come to an end. Though she knew whatever she decided to do that she was going to grow mentally, emotionally, and in strength so she would be prepared for the next dungeon she would eventually challenge. This was a bittersweet experience for Ani, but she was going to make the best of it that was for sure. Seeing that creatures were motioned to go with them she looked to one of the jackals, and motioned for him to follow her and Hoyo to the portal. With that Ani made her way, and left the dungeon walking through the portal. Gathering up his share of the spoils, Yakuroro laid claim to precious jewels and metals alike. After all, he didn't have a flying carpet anymore and he would need to prioritize smaller more valuable treasures over the larger grander ones. 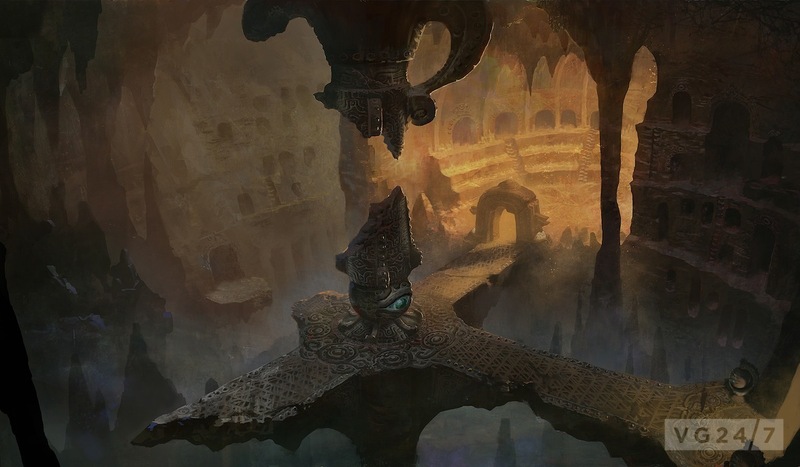 Once his pockets had been lined with as much value as could be handled without the seams tearing loose, the Imuchakk man waited for his turn to enter the portal and exited the dungeon. He wondered how much time had passed on the outside and where he would end up. In Yakuroro's experience, time flowed differently in the dungeons. Then there was the matter of winding up in strange locations. Once he found himself in a giant pit where the dungeon had stood and another time he was sent to a snowy mountain top miles away from the spot he had found the dungeon. Only time would tell what the world outside would be like this time around.